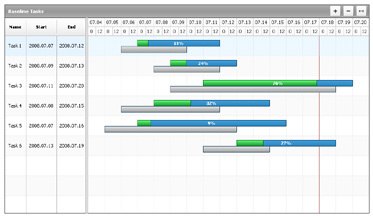 This kind of chart is a Time Scheduling Chart. 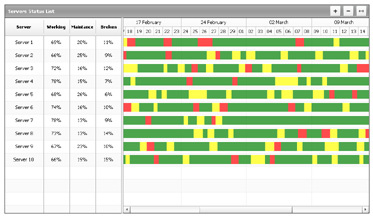 It shows the list of employees and periods of their absence during working hours. This is an activity-oriented chart. 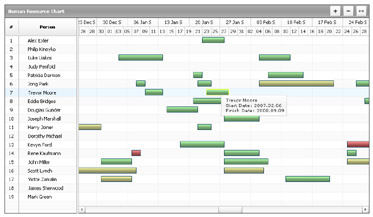 It allows to see a branchy system of constraints between tasks and the progress for every single scheduled task. 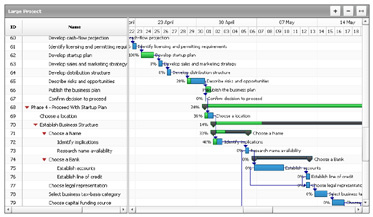 This is a Simple Gantt Chart. It shows principle of working with summary, simple tasks and datagrid. This chart simultaneously shows planned tasks and progress of their actual completing. 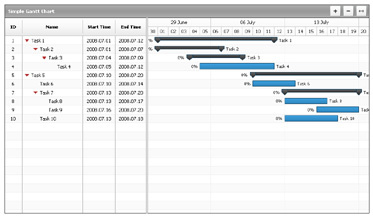 This sample demonstrates the usage of resource Gantt charts, and also it utilizes styles for a resource visualization.